I have been searching for a command line Flash 8 (VP6) FLV video creation tool for a long time. I've bought On2's Flix Pro - but even though it is a mile better than Sorenson's horrible Squeeze, it still had some serious issues with AviSynth input for instance. In general it was good for one-at-the time encoding, but batch processing was tedious and buggy. ffmpeg win32 binary including VP6 FLV mux patch. Toolpack with example avs and bat. You also need: Avisynth 2.5.6 or later, and last but not least the On2 VP6.2 VFW codec. The On2 codec is free for personal use, but for some strange reasion it is no longer offerered at On2's website. For commercial use, you should be (morally) ok, if you just buy Flix Pro. Unpack ffmpeg and the toolpack from above in the same directory. Put an AVI file called "example.avi" (that is readable by AviSynth) into the directory with ffmpeg. You should (with a bit of luck) have an "example.flv" by the time the bat file finishes. You can use the excellent FLV Player by Martijn de Visser to watch your result offline, or use Jeroen Wijering's great Flash Video Player and put your result online. 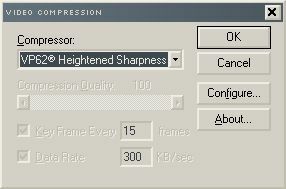 The important part of video encoding is of course customization. There are three main points. The AviSynth script providing the input - the video encoding parameters and the audio encoding parameters. I will cover how you can modify these settings, as there are many good guides on what settings to use for good quality. If you don't understand anything of this, avisynth.org is a good place to start learning. Yes - VP6.2 supports YV12 input, and yes - your video has to be upside down(!!). Of course you can use MPEG2 input using DGMPEGDec and others using DirectShowSource. Other than that, the audio must be 44100, 22050 or 11025Hz, 16 bit for the mp3 encoding. 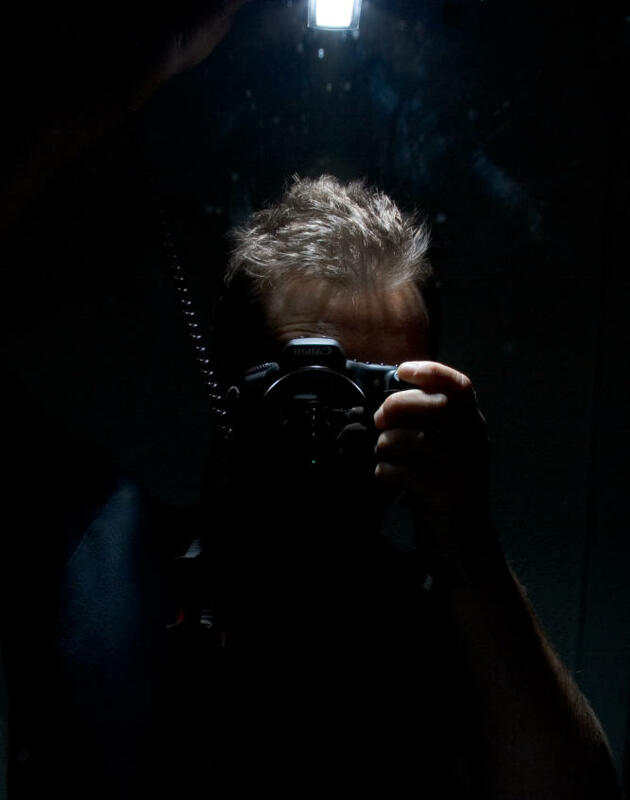 Use Virtual Dub to open your script, while you are finetuning it. First pass is usually very fast, but the second pass can be rather slow, if you choose best quality. Which relate to bitrate, channels and samplerate. These are the settings you may need to adjust. 64 kbit mono is actually very good for low bandwidth video. Edit: Discussion is a bit tedious here, so here is a link to a doom9 forum thread, where you can ask questions. I'll post a "troubleshooting" guide. Great find sh0dan. Looking forward to testing some VP6 encodes out at work tommorrow. Thanks for uploading a binary. I still haven't got around to compiling FFMPEG myself. This is excellent! the FLV8 video quality is just awesome. Just 1 question: How would I get a copy of the VP62 codec for busienss use? @Anonymous: I think you would have to contact ON2 to be sure. My guess is, that they wont complain if you have a a Flix Pro license. still searching for a solution to encode VP6 flvs on my linux box. Error: The file you are trying to open is a -1456008473 pass file. The AVI file is from a Canon digital camera which uses the MJPEG codec. Can you help? PS: I'm in Denmark too. are partly inexact. In fact the option -b applies to the video bitrate, not for audio. My FLV file is very small and it looks broken (unreadable by any flv player). If you find out that audio options have a strange behavior, you should try to put them after "-i "example.avs""
ffmpeg -y -i "temp.avi" -vcodec copy -i "example.avs" -ab 128 -ac 2 -ar 44100 "example.flv"
Thanks for the great info, sh0dan! I had problems using the example.avs file. The output avi file was a very small video, just 10 seconds long (not the same length as original), and instead of the original video stream, I got a video stream of an error message saying "AVISource: couldn't locate a decompressor for fourcc mjpg (C:\Documents and Settings\<snip>\example.avs, line 1). When I changed line 1 of 'example.avs' to 'DirectShowSource("example.avi")', everything worked fine! Hope this helps someone. Also, I found out that neokilly is correct, the '-b' option to ffmpeg should be '-ab'. My temp.avi is always a very small and broken file so the flv is broken too..
i am searching for a solution with vp6 encoding from any file type. the tool should be startet from a command line..
How to cofigure VP62 codec to encode alpha channel? Videos need to be same size, codec, etc. I am not sure to well understand your tutorial. FFMPEG seems having to do 2 pass. The both pass settings are written in vp62.conf. Does I have to open the AviSynth script with virtualdub, to save as Avi and to run the batch file or is it automatically done with FFMPEG? Another question: how can I edit your vp62.conf file? Why should I ask for 2 pass using VP62 codec? Did I missunderstood? is this tool could encode a stream? For example from web camera? thanks very much for your package. I have released a new version of my scripts mentioned in the previous post. X Lots of bug fixes: E.g. files & folders with space in name are now working correctly. E.g. "C:\Media Files"
Please use Download-Link of previous post. Thanks. I was attempting to make a Flash from MPEG2 (.mpg) and I keep getting message file has nulls. I dont know what the means. Help.. I want to build sort of a drop folder MPEG2 (.mpg) goes in and in another folder flash files with same name are there. Can amyone help me Please? What's the point of AVISYNTH...I know to do the script but can't FFMPEG do that? Does anybody know where I might find the most recent version of this script? AviSynth is used to deliver the video to AVS2AVI and AVS2AVI to convert the video to AVI/VP6. Since the VP6 codec is only available as a VfW codec, this step is necessary. How would I get a copy of the VP62 codec for busienss use? Very, very useful tool. Thank you so much for that!!! I really need some help with install this on my server to get my streaming to work. Can some1 help pls. ill pay good. Can anyone get this to work under wine for linux? This has been very useful, thanks! Do you have the source of the ffmpeg-patched that you use for create windows .exe , so I can try to compile that ffmpeg in my Linux box? There is a patch file against revision 6373 included with the executable. Download this revision and apply the patch, and you should have the source code. Back again with fresh ideas!